We are a Network of Health Educators from Livingston and Washtenaw Counties combining our collective wisdom to enrich our teaching and student learning. Our goals are to equip students with the knowledge and skills they need to become health literate, so that they can make healthy choices, and avoid those behaviors that can cause damage to their health and well-being. Professional Development/training in the Michigan Model for Health; Reproductive Health/Human Growth & Development; Sexuality Education; and HIV/STD Prevention Education. Transgender Task Force, a joint project with the Culture & Diversity Task Force. 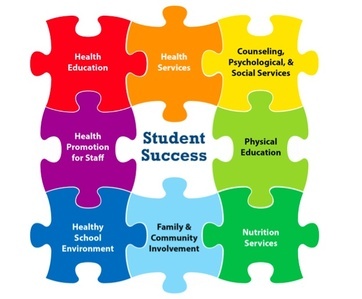 Whole School, Whole Community, Whole Child Approach: - An excellent 2 page overview of what Coordinated School Health is and the eight components involved. Comprehensive Health Education Overview - One of the eight components of the Coordinated School Health effort. A significant amount of efforts in Washtenaw & Livingston are spent on Comprehensive Health. 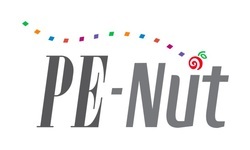 PE-Nut is a nutrition and physical education program that uses a whole-school approach to motivate students, parents and educators to be physically active and eat healthier. It is funded by Michigan Nutrition Network. MDE Coordinated School Health Information - The website for the statewide network of Coordinated School Health. Coordinated School Health is a nation-wide initiative created by the CDC. MDE Health Education - Part of Coordinated School Health, this website is where you will find important information affecting health education in Michigan Schools. 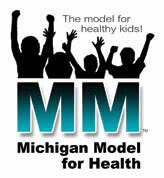 Michigan Model for Health - The Michigan Model for Health is a comprehensive and sequential K12 health education curriculum that aims to give school-aged children the knowledge and skills needed to practice and maintain healthy behaviors and lifestyles.